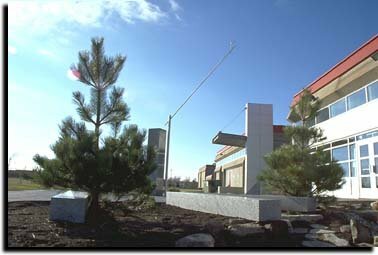 The artwork is located in the School's garden and outdoor terrace. The work is shaped like a sundial. 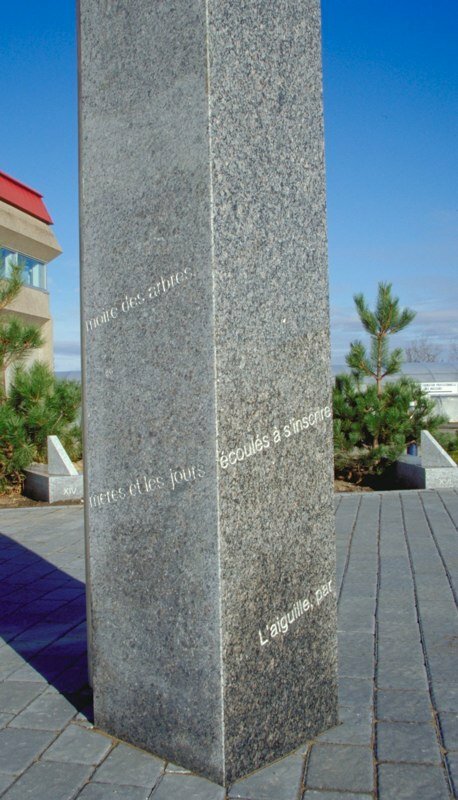 A pink granite monolith featuring an engraved sentence is installed in the middle of a public place. An angled pole is held by a stem (the projected shadow follows the movements of the sun). Rectangular stones are arranged horizontally on the ground, marking the last hours of the day. L'aiguille, par son ombre, pousse les secondes éphémères et les jours écoulés à s'inscrire et se stocker dans les anneaux de mémoire des arbres. The artwork requires the future contribution of the students and teachers. 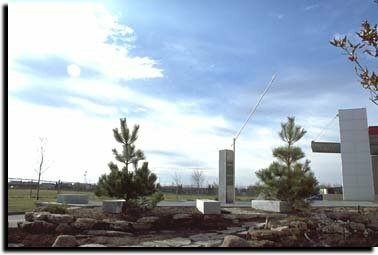 The artist's permanent installation is completed and renewed annually, without his involvement. For the first few hours of the day, no stone has been placed to indicate the hours.